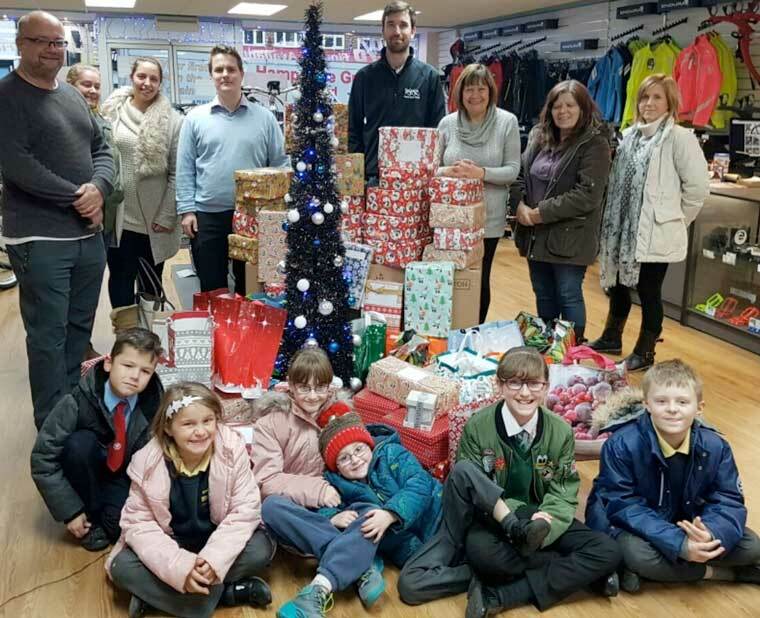 Cllr Steve Lugg and Sharon Worsfold from the Pedals Cycle Centre, Ferndown asked work colleagues, friends and families to support the appeal and in just a few weeks more than 70 boxes and bags were donated. Each contains toiletries, confectionary, perhaps gloves and socks, and similar. A card is placed with the gifts. The contributions were collected by Kyle Osborne and taken to Bournemouth. Steve is happy to accept more gifts and boxes until 20 December, and pass them on. Donations can be made at the town council offices at the Barrington Centre, Ferndown.